Food geneticists, for example. These technicians have the smarts to tinker with the inner workings of Momma Nature’s own good foods — but not the smarts to leave well enough alone. In fairness, much of their scientific tinkering has been beneficial. But during the past half-century, too much of their work devolved from tinkering into outright tampering with our food. This is mostly the result of money flowing to both private and public research centers from big agribusiness corporations that want nature’s design altered in ways that fatten their bottom lines. Never mind that the alterations created by these smart people are frequently not good for you and me. Take the tomato, truly a natural wonder. Agribusiness profiteers, however, wanted it to do unnatural things, so — voila! — the genetic tamperers in the 1960s and ’70s dutifully produced the Amazing Industrial Tomato. It’s a techno-marvel made to endure long-distance shipping, be harvested while green and then artificially ripened to appear tomato-y red and last an ungodly amount of time without rotting. But taste? Forget it. There’s more flavor in the carton. This led to the “Upchuck Rebellion” — a grassroots movement of consumers, small farmers and local food artisans. In the last couple of decades, they’ve spurred phenomenal growth in farmers markets and stores that offer nature’s own locally produced and heirloom varieties untouched by the smart ones. But, look out, the tomato tamperers are back in the lab! They’ve discovered that a mutated gene they had bred into the corporate tomato switches off other genes that would cause the fruit to develop flavor. The answer, they say, is not less technology, but more. By artificially re-engineering the DNA structure of the plant, they can bypass that naughty mutated gene and switch on some of the flavor genes. But do we really want to eat genetically engineered tomatoes? Still, you can expect them to push the latest alteration of nature’s marvel. I can just see the agribusiness ad: “Buy our industrial tomatoes — Now genetically flavored!” Better yet, buy the local tomatoes, which don’t need a smart geneticist or an ad to deliver real flavor. Unfortunately, it’s not just tomatoes they’re tampering with. For instance, if you are parent you may be worried about the plethora of highly questionable bio-engineered organisms that the profiteers have quietly been slipping into everything from snack foods to school lunches. Well, perhaps your own children can put your mind at ease, for science teachers around the country have been assigning a book called “Look Closer at Biotechnology” to the kiddos in their classes. It’s filled with colorful images, friendly cartoon faces, puzzles and more! Fun? With genetically engineered food? That’s not fun, it’s serious business — and look who’s behind this book of fairy tales: the Council for Biotechnology Information. Exactly what and who is CBI? It’s a PR and political front for the biotech industry, financed by such multibillion-dollar giants as Monsanto, Bayer, DuPont and Dow. It’s also now funneling hundreds of thousands of dollars into the industry’s deceitful political campaign to kill a California “Right to Know” ballot initiative that finally would require food giants to label all products containing genetically engineered organisms. This raises an obvious question for those of us who prefer food from nature, not from engineering labs: What are we to do about corporate powers that are so avaricious and arrogant that they’re willing to tamper with our food supply, our kids’ minds and our basic consumer rights? Defeat them, that’s what! 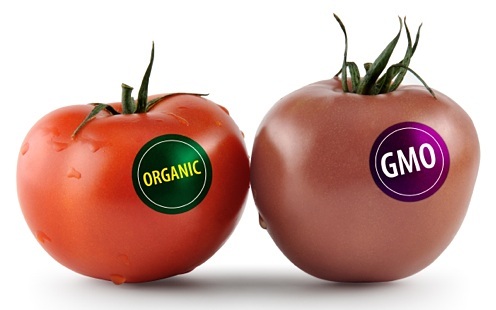 Here are three good sources for information and action: JustLabelIt.org, NonGMOShoppingGuide.com and OrganicConsumers.org.